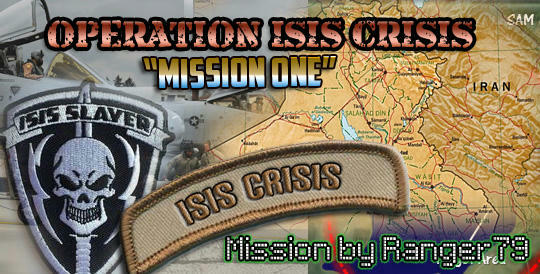 Hello everyone, I am making a series of missions based on the conflict against ISIS in Iraq and Syria. Coalition forces have been forwarded deployed to the Middle East to destroy the Islamic State In Syria (also known as IS or ISIL). Many of these forces have ties to Al-Qaida, Chechen Muslim insurgents, and other key terrorist organizations. Command is determined to utilize Airpower and SF Units to “Capture or Kill” several insurgent leaders and commanders in the coming weeks. USN Seal Team 6, Delta Force, British & Australian SAS, OGA Units, Jordanian JSOC Units, and US Army Rangers are on-standby for immediate deployment anywhere in the AO to execute orders. 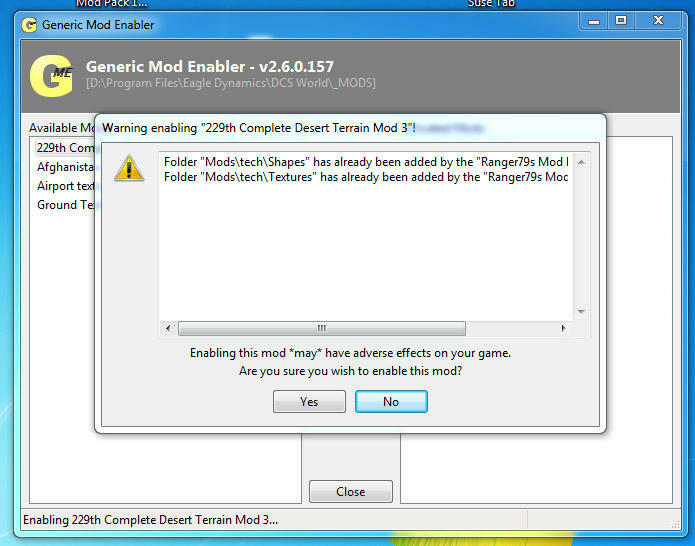 NOTE: When you install the two mods via JSGME, you will get a warning about folders already being added. Push Yes, this has no effect on the mission or mods. The following object packs are required: Ranger79's Object Pack v2.4.1 HERE and the 229th Complete Desert Terrain Mod V3 D/L HERE. Special thanks to: Cobrabase, EODCheese, & BlackMagic! Coalition forces have been forwarded deployed to Kuwait to destroy Islamic State In Syria (also known as IS or ISIL). Many of these forces have ties to Al-Qaida, Hezbollah, Chechen Muslim insurgents, and other key terrorist organizations. Command is determined to utilize Airpower and SF Units to “Capture or Kill” several insurgent leaders and commanders in the coming weeks. USN Seal Team 6, Delta Force, British & Australian SAS, OGA Units, and US Army Rangers are on-standby for immediate deployment anywhere in the AO to execute orders. - Liberate Iraq and Syria of ISIS forces. - Eliminate the terrorist nexus inside of Iraq and Syria. - Support friendly Coalition ground forces in the region. - “Capture-or-Kill” High Value Targets and / or War Criminals in the region. (1) Destroy enemy ground targets at WP1 marked as TGT1. (2) Provide On-Call CAS for all Coalition Forces in the AO as directed by Regional Commander. (3) Destroy all enemy ground targets at Maykop Airfield located at TGT4. - Instructions and SITREP will be given when mission begins in addition to when different tasks are assigned. - Utilizing F10 Option may be required at certain points in the mission. You can use either Desert Mod, just choose the correct mission. Special Thanks to: Blooze, Brian, Kia Star, Jack Flash, feefifofum for voice overs & BlackMagic for Mission Testing!! Last edited by Ranger79; 09-24-2016 at 05:07 PM. First one to thank you! Looks awesome! Good job Ranger79! Cool, I'll check it out for sure. Just a note (not criticism, just "by the way"), Hezbollah have actually been fighting against ISIS and AQ-affiliated groups in Syria and Iraq. Hezbollah are Shia, aligned with Iran (who have been bombing IS), IS and AQ are Sunni. The enemy of the CIA’s enemy in Lebanon is still its enemy. But, according to a report for McClatchy by FP contributor Mitchell Prothero, when the CIA discovered that al Qaeda-affiliated rebel groups in Syria were plotting attacks against Hezbollah’s strongholds in Lebanon, they shared that intelligence with the Lebanese government — "with the understanding that it would be passed to Hezbollah." Last edited by emg; 02-15-2015 at 11:43 PM. Quick change to SP, I did not make Hawg 1-1 PLAYER in the mission, just reuploaded fixed mission. If you do not want to redownload, just open ME and change Hawg 1-1 to PLAYER. First off, thanks Ranger, love the depth in your missions, secondly I'm only playing SP. ¤ before I could take off, Gamma 2-6 said thanks and TGT1 was completed, was then sent to WP4. ¤ thought I'd follow waypoints as per mission anyway, halfway to WP1 got Whiplash brief for TGT4. ¤ low on fuel I decided to find tanker, then spent remainder of flight trying to refuel....... Flight ran out, Texaco ran out and crashed taking me as well. Last edited by bjsracer; 02-16-2015 at 04:27 AM. I just played all the way through no issues SP and MP. Do you have the mods installed? I am almost 100% positive you do not have the mods installed correctly, ensure you use my newest version of the object pack linked above. Last edited by Ranger79; 02-16-2015 at 04:30 AM. I just played all the way through no issues SP and MP. Do you have the mods installed? nope...folder in the folder fail. probably should have realised earlier I was not over desert terrain and therein lay my problem.